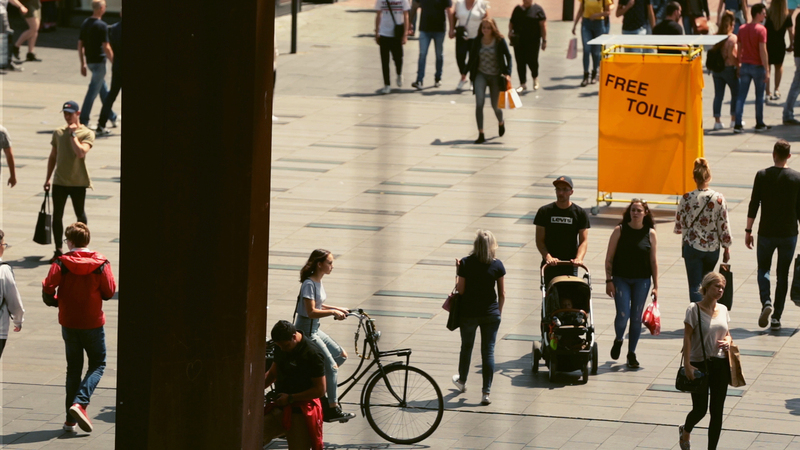 In Eindhoven there are around 10 public, free urinals for men and only 1 unisex pay toilet women can use at a cost of 50 cents (in Amsterdam: 35 public urinals and 3 public toilets, respectively). 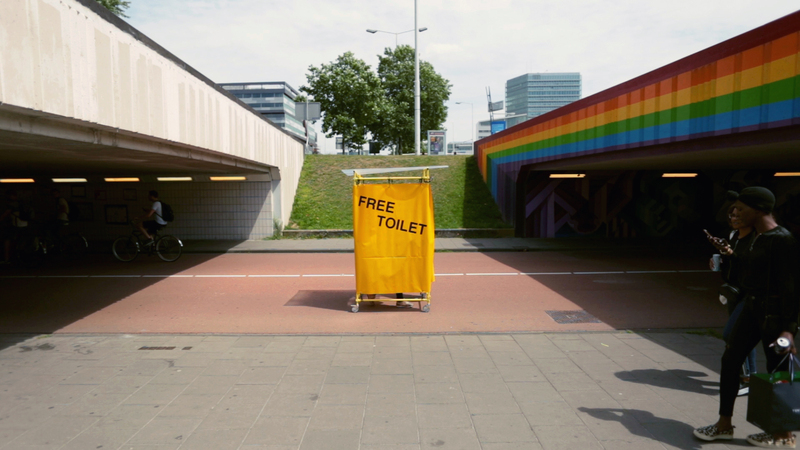 Cities are also for women to live in, and being denied places to pee is not only a design flaw but discrimination. Historically, women have had to adapt to ”standard designs” where the norm and the standard is masculine, designed by and for men. 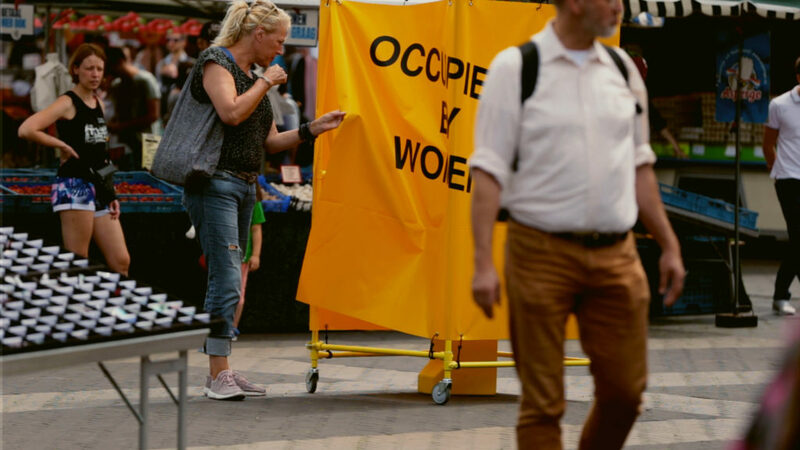 An example of this is the Dolle Minas, a feminist activist group from Amsterdam which was protesting for the provision of toilets for women in the 1970’s. 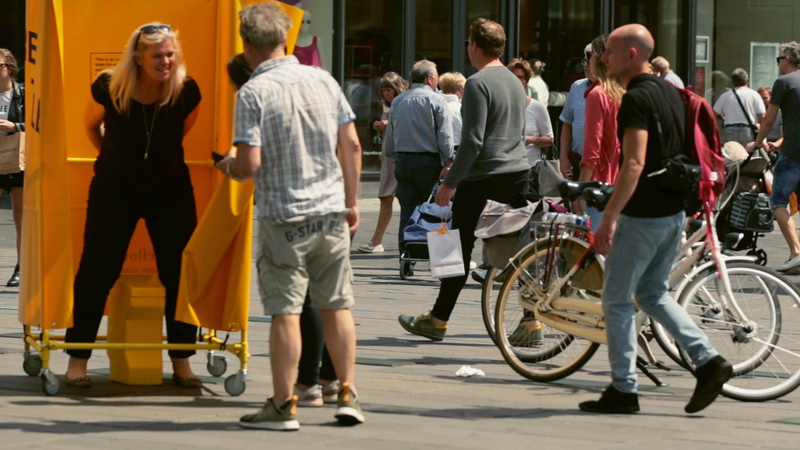 In 2015, also in Amsterdam, Geerte Piening, in an urgent need to pee and not being able to find a nearby public toilet, was fined for peeing in public. She refused to pay the fine arguing that she had no other choice in the absence of women’s toilets. In court, the judge of her case decided to reduce the fine but still argued that “You can also urinate in a urinal as a woman, which may not be pleasant, but it’s possible.” This issue is not a linear timeline, but a vicious loop of history that keeps repeating itself. The design of the toilet is inspired in the jerry can: on its durability and ability to contain and transport liquids. The waterless urinal can contain up to 20 liters of urine, later emptied through a valve and be reused. 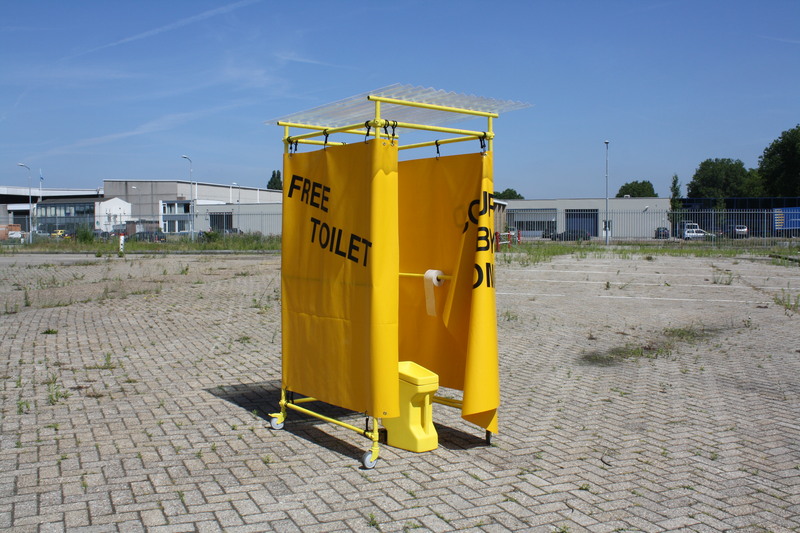 It can be transported around a city with its mobile booth (making it autonomous of any sewage system) while marching in demand of toilets for women with the emblem ”OCCUPIED BY WOMEN”. 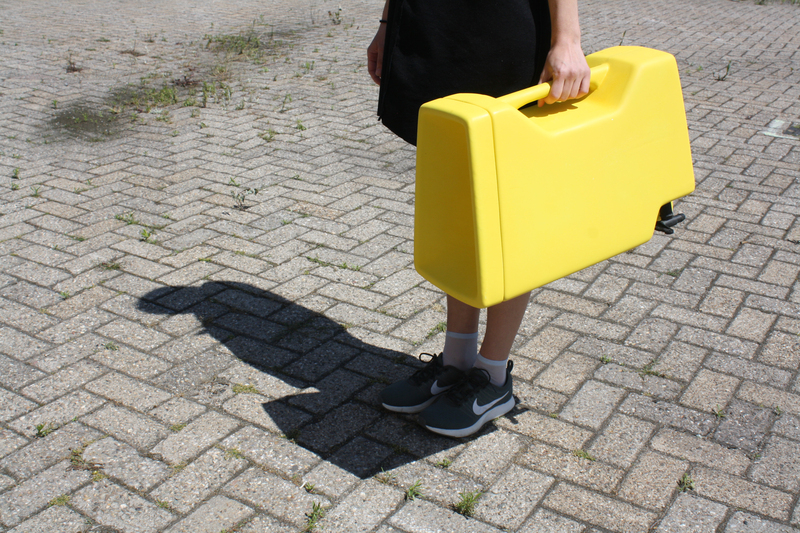 The Yellow Spot’s addresses an urgency and an alternative solution to the problem. Its explicit language of impermanence intentionally advocates for its functions to become permanent. Its temporality should not remain as such, but be replaced by an appropriate design: safe, hygienic and inclusive to all.